I really don’t do well in groups, which you’ve probably already figured out. So this may not surprise you. There was a woman in our group in London who got on my very last nerve. She was good, too: she didn’t gradually have that effect on me. It was instant, from the very first time she spoke. Then, later, on the bus, just after I made this photo, she tapped me on the shoulder to explain how my picture wouldn’t work, that it would only show foggy windows and nothing else. A regular photo critic, she was. Anyway, it looks like she was right, and I’m being far to harsh about the situation. That shouldn’t surprise you, either. 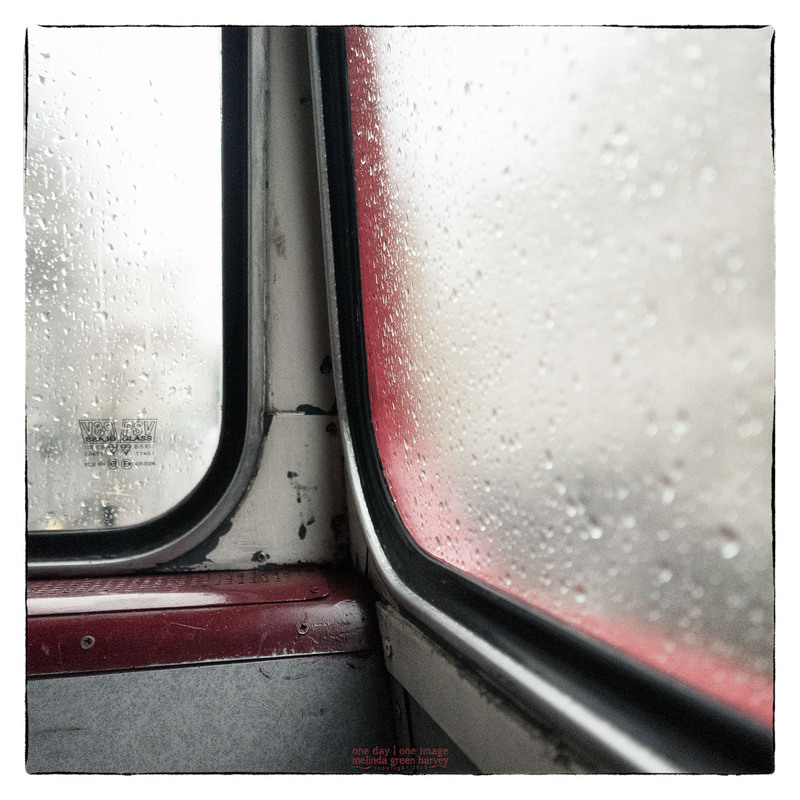 Posted on July 10, 2017, in Photography and tagged 365 photo project, bus, double decker bus, fog, learning to see, Leica, London, London England, melinda green harvey, monochrome, one day one image, photo a day, photography, postaday, red bus, thoughtful seeing, travel photography. Bookmark the permalink. 22 Comments. Hmm, how did she know that you didn’t have a thing about foggy windows? Because she knew everything. EVERYTHING!! What’s the opposite of “self-aware”? Because that’s what she was! Looks like she took a left at Wrong, then twice around the block for Incorrect. Yes! I couldn’t have said it better myself! Looks like it turned out just fine!! Thanks. I sort of thought it was, well, exactly what I was going for in the first place! I wouldn’t even worry about it, if I were you! You’re my most consistent commenter, which is WAY better than being a critic! Mmmm. Yum. Foggy windows and nothing else. Yes! That’s what I liked about it, because with just that little bit of red, it summed up the day. Thank you, Anne Marie! I was pretty happy with the way it turned out. I’d say that when you add colour, it’s as if you’d smile, but it’s not precise. It’s like a splash of colour in a black&white movie, as Von Trier did in “Europa”. Nope. Not one bit. And she never will, I don’t think.